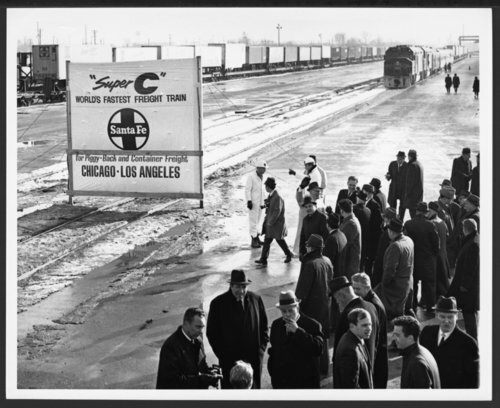 This black and white photograph was taken during the first run of the Atchison, Topeka & Santa Fe Railway Company's Super C train at Corwith Yards, Chicago, Illinois. The high speed intermodal freight train ran from Chicago, Illinois, to Los Angeles, California, from 1968 to 1976. It was considered the "World's Fastest Train".